Mission XI Million reached Jammu and Kashmir and successfully conducted its largest seminar till date earlier today. With a record participation of more than 1300 schools from all over the state, football again lived up to its reputation of being the most popular sport in the valley. 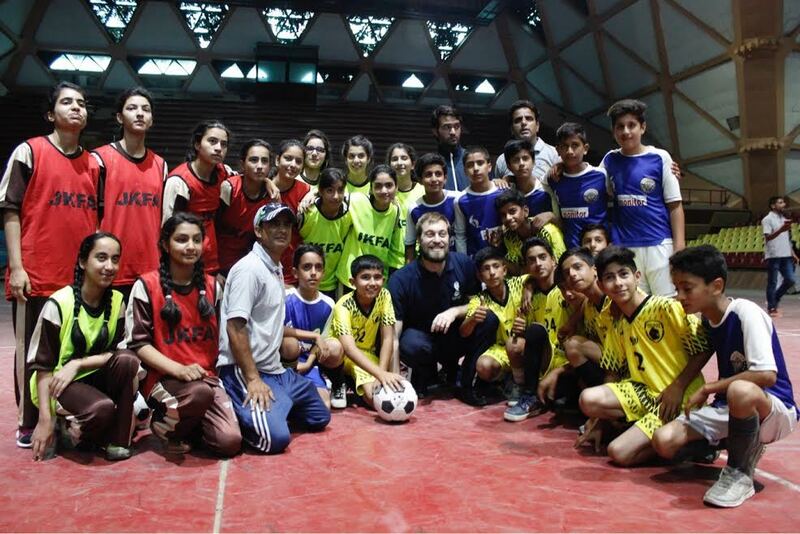 The thunderous response to the seminar held in Sher-e-Kashmir Indoor Stadium reaffirmed the fact that beautiful game can unite the people of the Jammu and Kashmir. Speaking about the response at the Srinagar seminar, Tournament Director of the Local Organising Committee for FIFA U-17 World Cup India 2017, Javier Ceppi said, “This is a very important milestone, as we have reached Jammu and Kashmir and we had more than 1300 schools in the seminar. This means a great number of kids will be playing football on a regular basis in this area. The state government has been very supportive and has promised to take MXIM all around the state, which will be something fantastic for football and India”. Hon’ble Minister of State for Department of Youth Services & Sports, Mr. Sunil Kumar Sharma; Director of Department of Youth Services & Sports, Mr. Shiekh Fayaz Ahmed; Secretary, Government of Jammu and Kashmir, Mr. Hilal Ahmad Parray and Deputy Commissioner of Srinagar, Dr. Farooq Ahmad Lone were also present at the event. The popularity of football has seen a surge in recent times with the rise in prominence of LoneStar Kashmir Football Club, which has given the people of Kashmir another reason to come together. Having already touched the southern tip of the country, Kanyakumari, where more than 150 schools participated, the Government of India and All India Football Federation programme spread its wings to the north with this seminar.